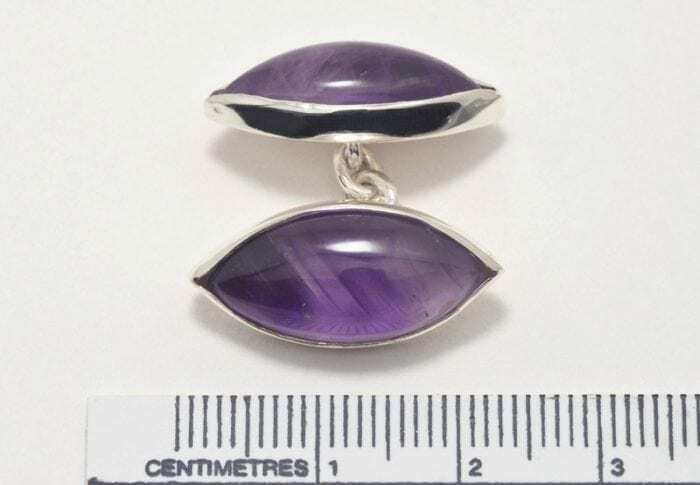 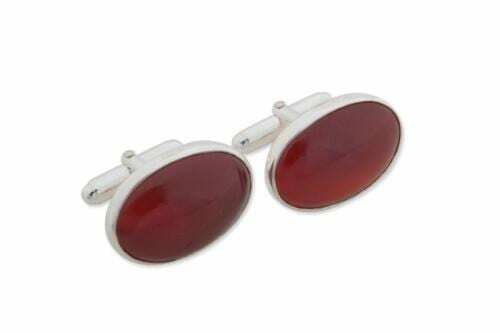 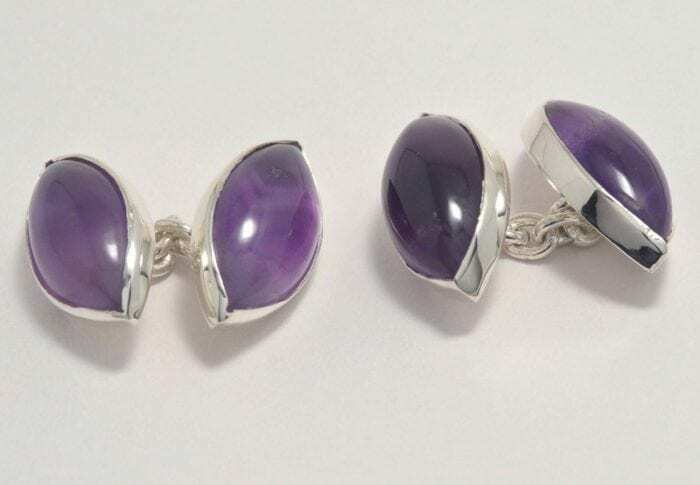 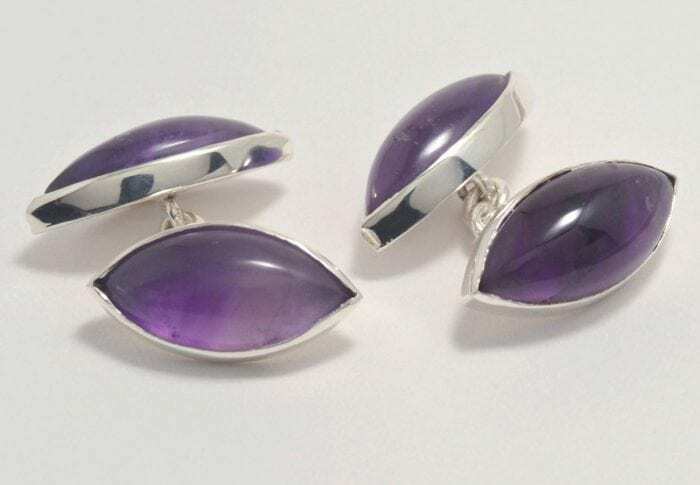 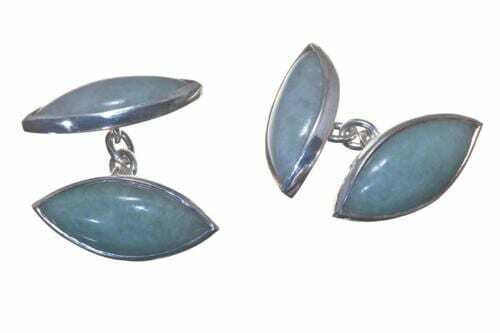 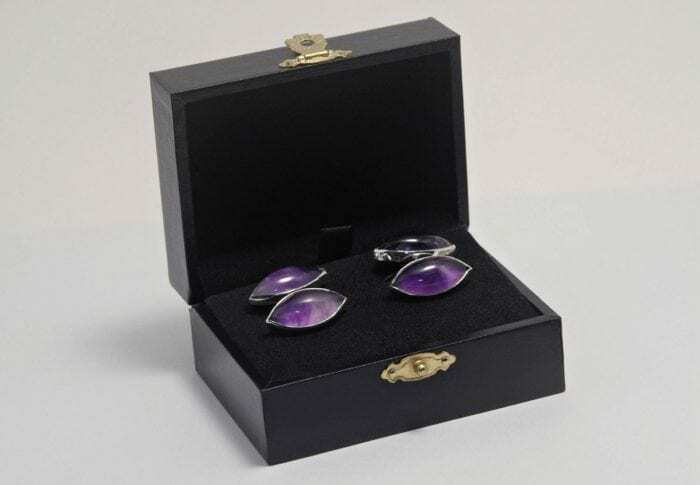 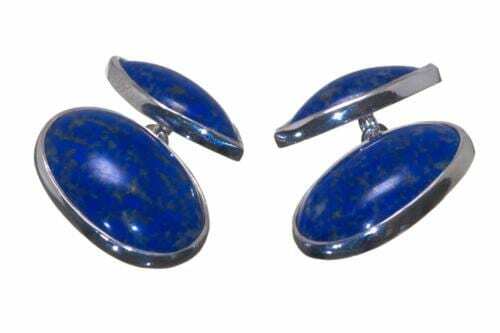 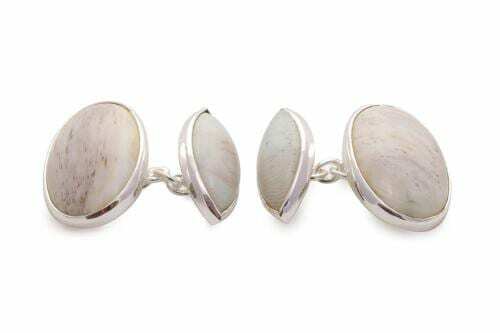 Hand crafted lozenge shaped carvings of genuine purple and rare amethyst are joined by a sterling silver chain to create these wonderful elegant cuff links. I love the silver against this iconic purple color and they add real style to bring your shirt cuffs to life !! These 4 stones measure 20 x 10 x 5 mm (25/32 x 25/64 x 13/64 inch).